China has once again decided to put a technical hold on the listing of Masood Azhar as a global terrorist under United Nations Resolution 1267. Azhar Masood, as is well known, is the chief of Jaish-e-Mohammad (JeM), the group responsible for a number of terrorist attacks against India, including the one in Pulwama on February 14. The proposal to list Azhar was initiated by France and backed by the US and the UK among other members of the Security Council. What are the lessons for India from this incident? First, one should be clear that the listing process is a symbolic move. The JeM is already a proscribed organisation and that hasn't stopped it from launching dastardly terrorist attacks on Indian soil. The Lashkar-e-Taiba (LeT) chief, Hafiz Saeed, too, features in the United Nations sanctions list. However, he continues to enjoy all kinds of freedom in Pakistan and has even floated a political party that contested the 2018 national elections. The listing, therefore, itself wouldn't have achieved a great deal. Second, China responds to incentives. At the Financial Action Task Force (FATF) summit in February 2018, it agreed to grey listing of Pakistan in return of being offered a vice-presidency of the inter-governmental body. India obviously did not have an equivalent offer to make in exchange for Azhar's listing. New Delhi needs to find a range of bargaining options with China in the future. The options could be economic (access to Indian markets, tenders, etc.) as well as political (affecting Tibet, Taiwan and Xinjiang). Third, India needs to realise the limits of its relationship with China. 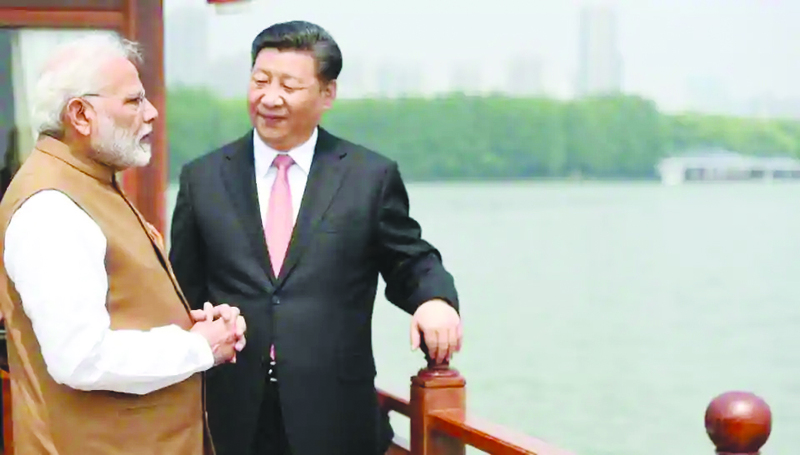 The informal summit in Wuhan in April 2018 was aimed at the two leaders - Prime Minister Narendra Modi and President Xi Jinping - understanding each other's concerns. Either our concerns about Pakistan-backed terrorism weren't clearly communicated to him or Mr Xi simply chose to ignore them. In either case, the Wuhan exercise seems to have failed. Not just Pakistan-backed terrorism, China has not yielded ground on anything else (from trade imbalance to India's membership in the Nuclear Suppliers Group). At a time when China was facing economic pressure from the US in the form of a tariffs war, North Korea was increasingly moving out of Beijing's shadow and Australia was making noises about China's interference in its domestic politics, the Wuhan summit only helped remove the pressure on Beijing from one front altogether. India needs to add a dose of reality to its China relationship.